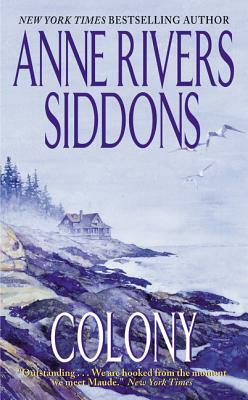 I mentioned in a previous entry that when starting Maine, I was reminded of Colony, a particular favorite of mine. So, natch, I decided to feature Colony in this week’s favorites. In short, Colony is the story of one woman’s life in her wealthy in-laws’ summer beach retreat (seeing the similarities to Maine already?). Maude Gascoigne has grown up a wild child in the swamps outside of 1920s Charleston, South Carolina (Siddons is primarily known for her Southern-set novels), but when she and Peter Chambliss fall in love at first sight, she quickly finds herself transplanted among the austere Chambliss clan, who are considered New England old money at its finest. The Chamblisses spend summer in Retreat, a summer “cottage” in a beach community with rigid divides between the locals and the rich city folk that only come for the warm weather. Maude, already feeling out of place and backwards in her new family, immediately rebells against the strict traditions of the colony. 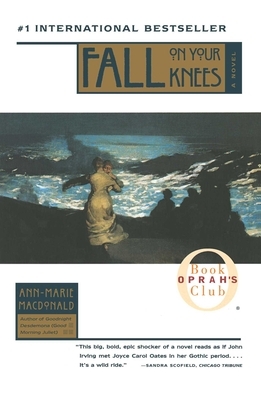 Over the following decades, she struggles to define her own identity and keep her troubled family together at the same time. One of my favorite things about this book is how none of the characters are normal. They’re pretty much all tragically flawed. You’d think this would get old or exhausting, but for me it expands what might otherwise be a pretty fluffy read into a epic, a testimony to 20th-century New England. There are very few characters that you actively root against as a reader; mostly you’re just praying that somehow, against impossible odds, Maude won’t lose her family to bipolarism, panic disorders, suicide, alcoholism, promiscuity, and the like. This week’s been pretty crazy, so I’m actually fairly impressed I’m managing to post at all. As I read over this, it seems singularly chaotic and disjointed, which is a pretty fair respresentation of my mental status at the moment. Guess I’ll quit while I’m not too far out of whack!